Dora, AL - Click here for more information. 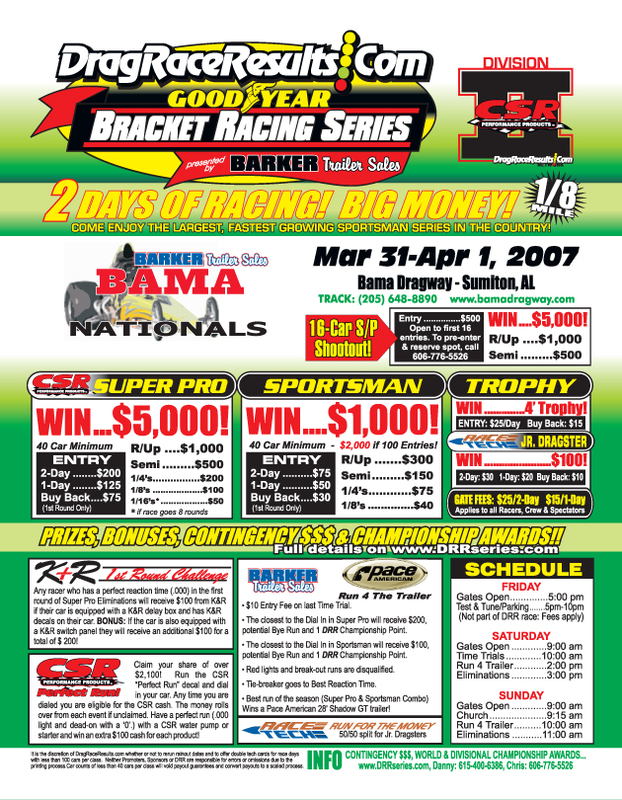 Sumiton, AL - DragRaceResults.com and Barker Trailer Sales is bringing another Goodyear Series event, the Barker Trailer Sales Bama Nationals, to Bama Dragway in Sumiton, Alabama March 31 – April 1, 2007 for two days of Big Money action! Jasper, AL - Holiday Inn Express Hotel & Suites, Jasper, Alabama. 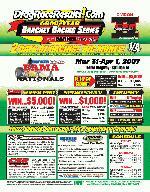 Will be the official hotel for this weekend Bama Nationals Presented By Barker Trailer Sales.